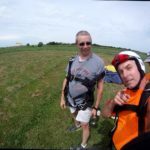 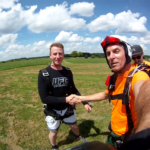 I am excited to announce that we’re having an another Wingsuit First Flight Course here at the Flying V. We had a successful course last time in June, and we are inviting Pat Schraufnagel again as a course director. 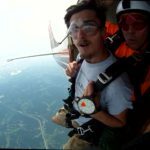 Here are the requirements to participate. 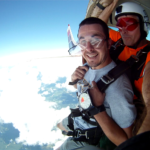 Basically what’s in the SIM: logbook, AAD, audible with 3 tones preferred, helmet, appropriate canopy with no more than 1.3 wing loading, throw out pilot chute minimum of 24”, bridle length of minimum 6’ from pin to pilot chute, 200 jumps minimum. 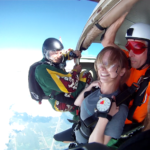 You need to rent a wingsuit from Wicked Wingsuits. 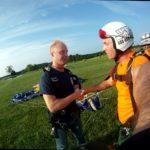 If you own one, I will have you discuss with Pat to make sure it’s an appropriate suit for you to participate the course. 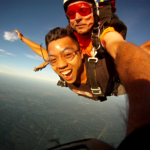 If you have questions, please call Emiko at 636-485-1056 for details. 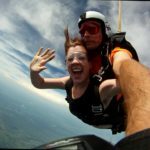 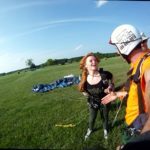 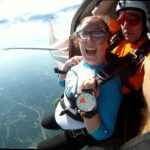 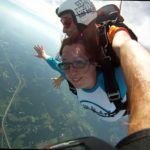 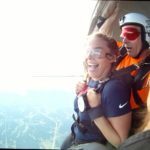 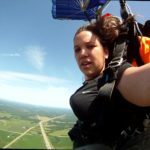 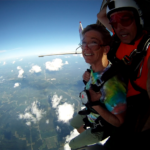 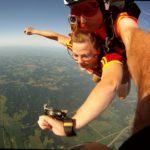 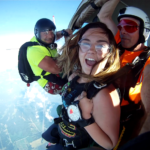 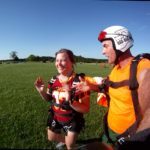 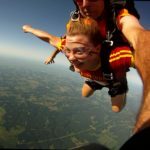 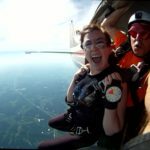 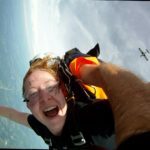 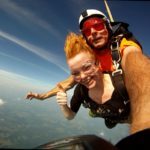 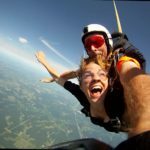 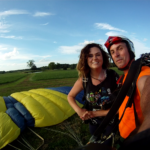 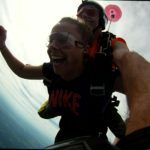 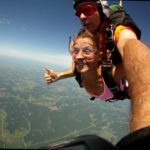 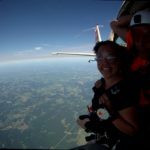 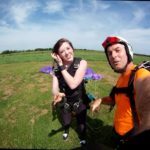 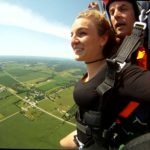 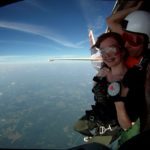 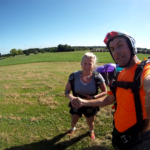 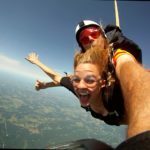 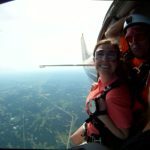 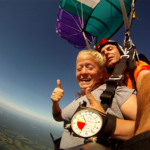 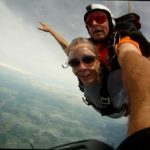 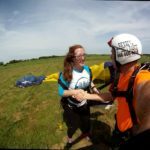 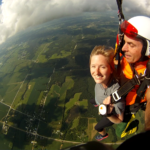 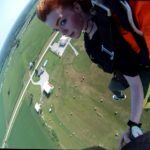 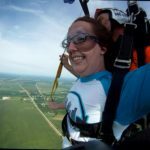 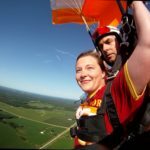 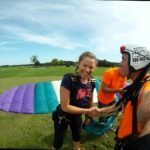 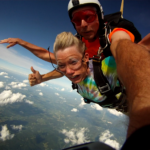 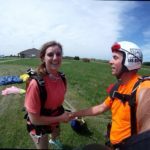 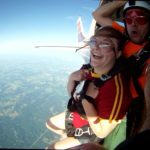 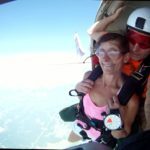 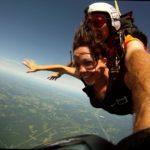 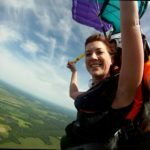 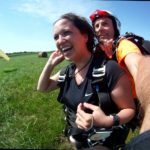 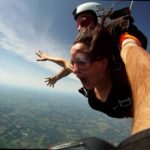 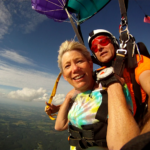 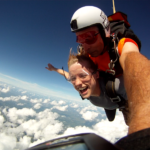 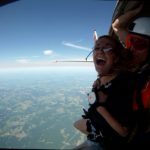 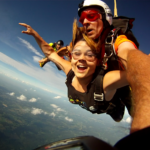 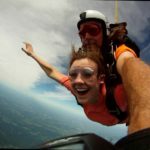 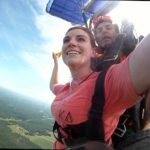 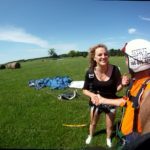 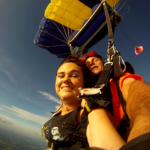 Christina Hanes goes to skydiving! 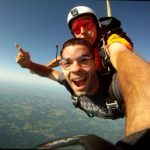 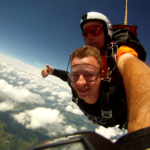 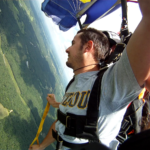 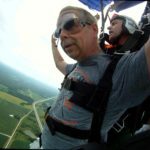 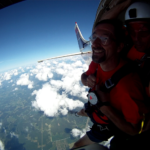 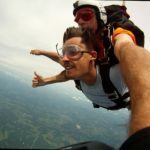 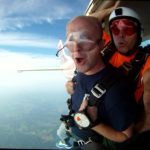 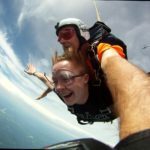 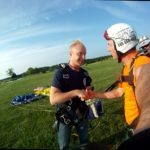 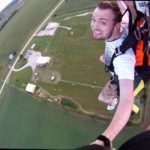 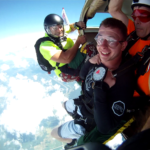 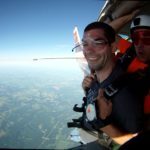 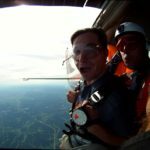 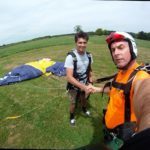 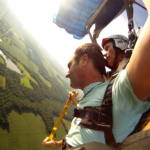 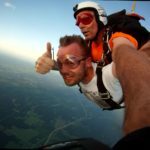 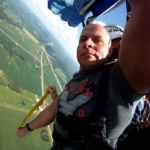 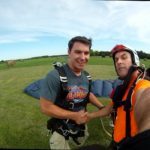 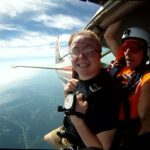 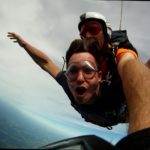 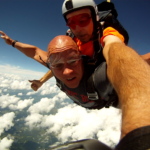 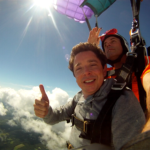 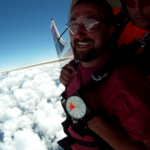 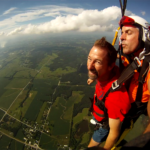 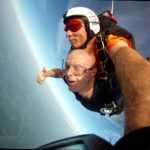 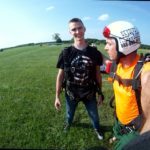 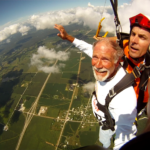 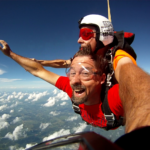 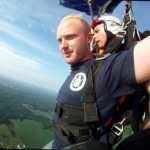 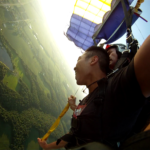 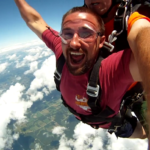 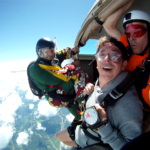 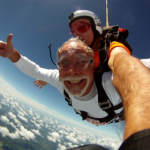 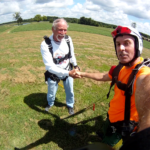 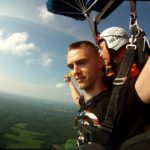 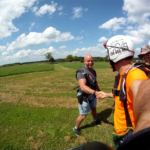 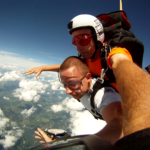 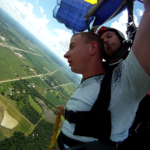 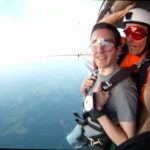 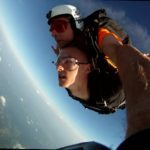 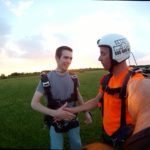 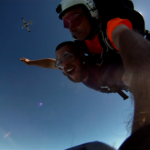 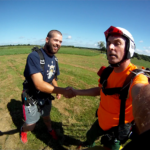 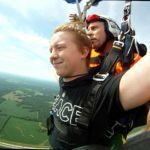 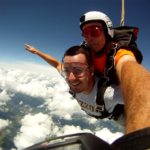 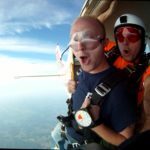 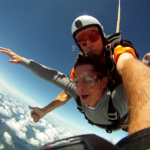 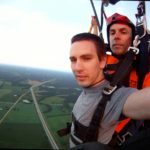 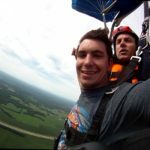 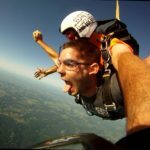 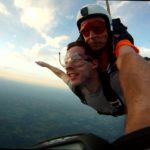 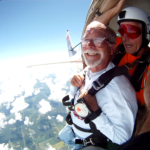 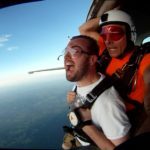 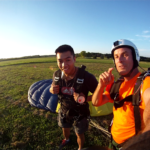 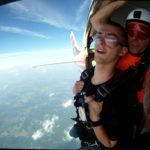 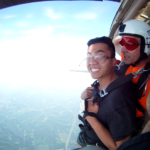 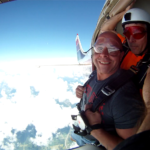 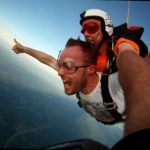 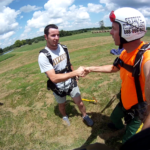 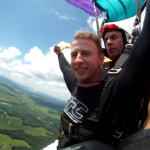 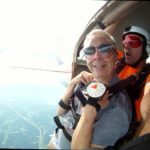 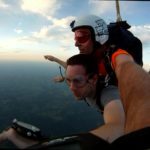 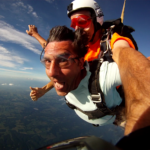 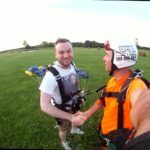 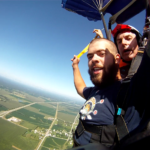 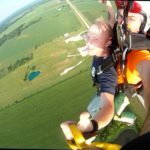 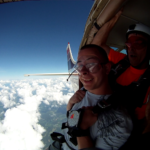 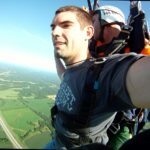 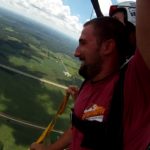 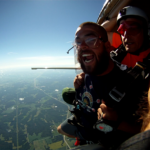 Josh Hanes goes to skydiving!